Ascension will close its 283-bed hospital in Washington D.C. by the end of the year as it looks to replace its acute-care services with more ambulatory services, the nation's largest Catholic health system announced Wednesday. St. Louis-based Ascension said Providence Health System, which includes the hospital and a network of ambulatory sites in D.C. and Maryland, will focus on telehealth, primary and urgent care, home care, community-based behavioral care and senior care as well as population health. Providence's skilled nursing facility, Carroll Manor, will continue to operate as part of Ascension Living, the senior living and care division of Ascension, the company said in a news release. Ascension did not say how many jobs would be impacted. "In engaging with community leaders on the community The District of Columbia Community Health Needs Assessment and the DC Health Systems Plan to understand how to best serve the community, we agreed with the experts' findings to shift from acute care to a focus on ambulatory and outpatient-based services," Eugenia Powell, Providence administrator and vice president of patient care services, said in a statement, adding that the area has many high-quality providers of acute care. 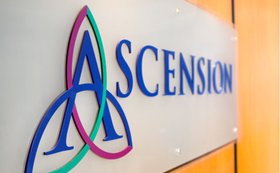 The move aligns with Ascension's new strategic direction. The system aims to decrease its hospital footprint while partnering with other providers along the continuum and building out its subsidiary portfolio. Ascension reported $282 million of operating income on operating revenue of $17.09 billion through the first nine months of its fiscal 2018, down from a $749 million operating income on operating revenue of $17.15 billion over the prior-year period. It was buoyed by its non-operating gains of $1.52 billion through the first nine months of 2018, up 68% from $903 million. That boosted its net income to $1.68 billion, up 8.4% from $1.55 billion. The organization's operating results reflect its investment in population health management and transition from an inpatient to outpatient focus as well as anticipated declines in volume, rising drug costs, increased uncompensated care and a rising share of Medicaid beneficiaries, Ascension said in its third-quarter earnings report. Ascension expects to earn more revenue through its automation, group purchasing, venture capital, revenue cycle, leadership consulting, drug manufacturing and other ancillary businesses that brought in $150 million in revenue last year.